Gathering around a warm fire is not just for cold winter nights. An outdoor firepit or outdoor fireplace in the backyard can take the chill out of a cool spring, summer or fall evening as well. 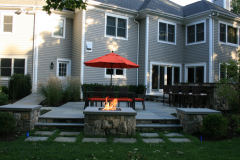 For four seasons out of the year, these functional hardscapes allow you to enjoy your property to its fullest potential. 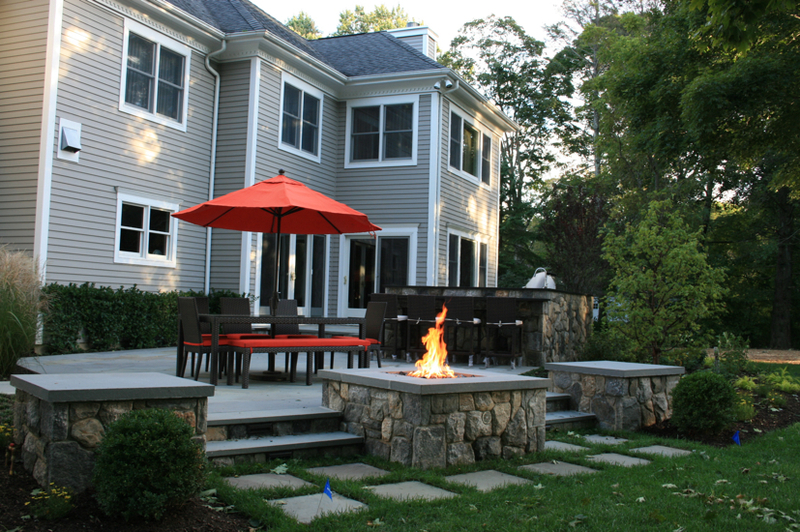 Typically outdoor firepits and outdoor fireplaces become focal points for any outdoor living space. If you live in New England, you know that you are wanting to sit outside with family and friends, enjoying the dusk or evening, but the temperatures can become chilly. 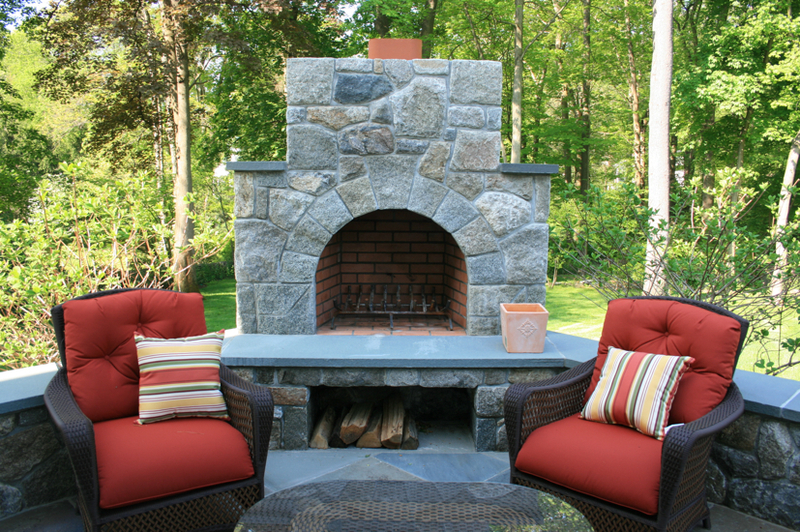 An outdoor fireplace built into your patio can remedy the cold, and also provide a warm glow. Typically enclosed and built with a chimney. 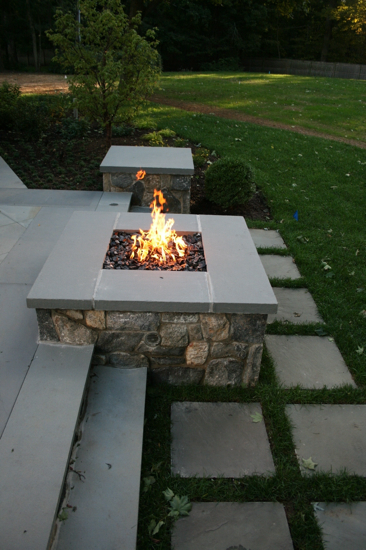 Outdoor fire pits are similar to fireplaces, but are built so that people are able to sit or stand all the way around the fire, instead of just in front. Firepits are open, and invite conversation and marshmallow roasting. 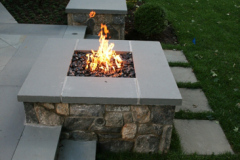 Many temporary fire pits are on the market today. 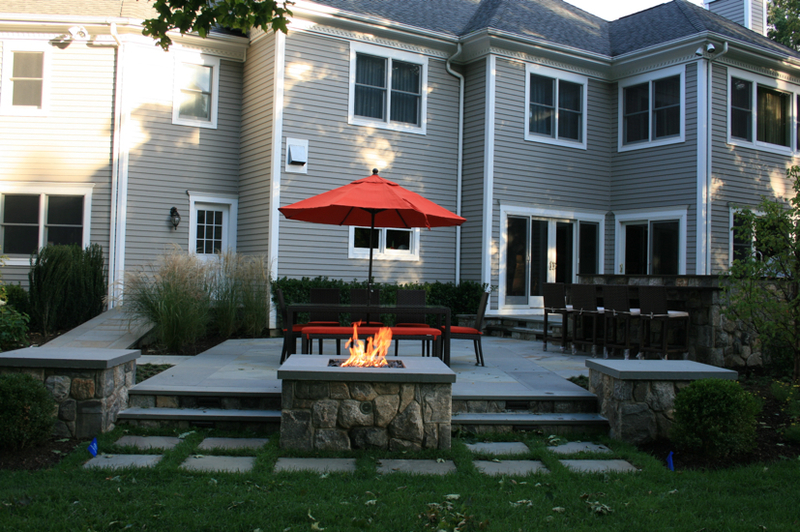 Having one built into the patio or yard provides a permanent gathering space. 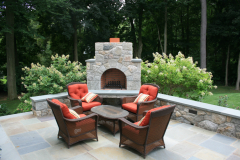 to plan out the perfect outdoor fire pit or fireplace for your home.